A great wave of fundraising patriotic associations followed in the wake of Great Britain's declaration of war on Germany on 4 August 1914, at home but also right across the Empire. The most successful public campaign of all was launched in London at the beginning of 1915. 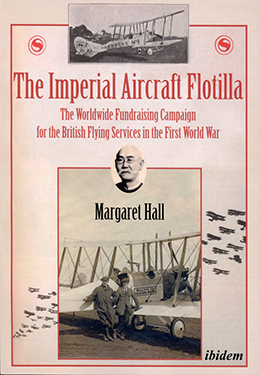 Known as the Imperial Aircraft Flotilla, the scheme aimed to attract contributions towards aircraft production costs from throughout the British Empire. Any country, locality, or community that provided sufficient funds for an entire aeroplane could have it named after them. 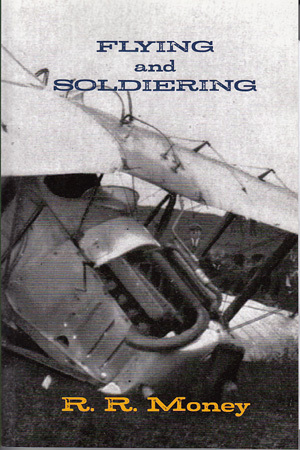 It was promised that when the machine crashed, or was shot down, the name would be transferred to a new one of the same type. Margaret Hall examines the Imperial Aircraft Flotilla as a facet of Imperial history. She analyses the fundraising efforts in Canada and Newfoundland, Zanzibar Protectorate, Fiji, Mauritius, and the Caribbean; Hong Kong the Malay states and the Straits Settlements; West Africa (especially the Gold Coast) Southern Rhodesia, Basutoland Swaziland and the union of South Africa; the Indian Empire and Burma; Ceylon, British subjects in independent Abyssinia and Siam and in the Shanghai International settlement and the British communities of Argentina, Australia and New Zealand. This remarkable and detailed book discusses the propaganda and counter-subversion usages of the Imperial Aircraft Flotilla and what the support for the imperial war effort reveals about contemporary national and regional identities and aspirations.